Why Advertise with Bride Club ME? 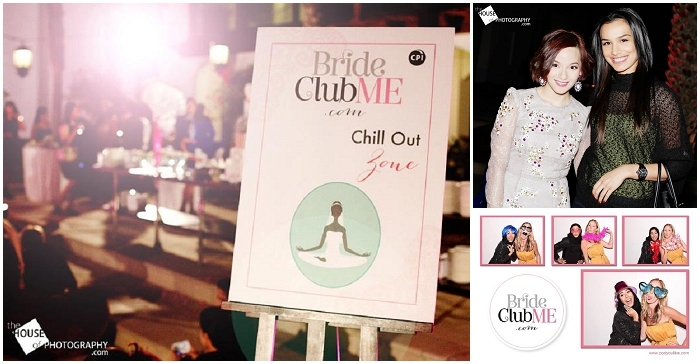 Bride Club ME is uniquely positioned as a ‘One Stop Shop’ online inspiration platform for UAE based brides-to-be, with particular focus on the emirates of Dubai and Abu Dhabi. Well established in the market, a newly engaged UAE bride will come to us, at the very beginning of her planning; looking for help and advice, a guiding hand through the exciting but daunting journey of planning her wedding. Brides who are registered with us regularly tell us how useful they find our site and the Bride Club ME ‘Vendor Club’ Directory when searching for wedding vendors, and service suppliers in the UAE. “I couldn’t be happier and more grateful to have found Bride Club ME through the course of our planning. It has been a go to resource for me. From inspiration boards, to special features on swoon-worthy real weddings, from informative articles & bridal tips to the latest wedding trends; from trusted vendors to just about anything and everything wedding! I love their DIY section and their Vendor Directory! It has helped me a lot in finding my DIY materials in Dubai. Plus to make your planning even more fun, they always come up with exciting competitions with awesome prizes! It’s wedding communities like these that truly make the whole wedding planning so much more enjoyable! Thank you so much, Bride Club ME”. We have a comprehensive A-Z directory offering ‘featured’ listings to select vendors looking to showcase their service and/or product and expand their reach. These are ideal for fashion and beauty businesses, to really show their designs and services to full effect. We have a number of prime advertising slots available across the site, including the leader board banner advert, MPU spaces, sponsorship strips and so on. These offer targeted marketing to our readers, and can be measured, providing you with statistics on how many impressions your advertisement has received and from where. Our monthly Newsletter is sent direct to the inboxes of our subscriber’s opt-in email addresses. Subscribers are given the opportunity in each issue to automatically remove their addresses from a straightforward link – meaning that all the remaining emails go out to active addresses and interested parties. We also offer advertisers the opportunity to send direct marketing e-Blast’s to our database, in the form of email communication. 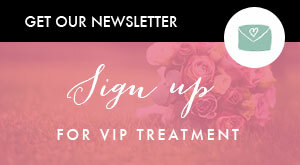 E-Blasts are an easy, quick and effective way to get your message to subscribers of www.brideclubme.com. An E-Blast is a one-page e-mail received by subscribers of Bride Club ME, who have opted to receive such information. As well as running our established website, team Bride Club ME often organise and put on creative wedding industry events. These events offer an excellent opportunity for wedding brands and businesses to become sponsors/partners and interact directly with our fans and readers. We can also organise bespoke events in and around your business, aimed at targeting your key target market. Each of our valued vendors will receive their very own ‘Featured on Bride Club ME’ badge to place on their own blogs and business websites. Since our launch, Bride Club ME has over 27,000 active fans across our social media platforms, including 22,000+ on our facebook page alone. Statistics show that the majority of our Face Book fans are engaged and living in the UAE. All of our fans are 100% GENUINE and many leave wonderful testimonials on our page daily. Since our website launch in November 2012, www.brideclubme.com has received top (organic) search engine results in over 25 key search terms including: Wedding venues Dubai, Dubai wedding ideas, wedding dresses Dubai, wedding celebrants Dubai, wedding directory Dubai, legalities of getting married in the uae, most romantic places to propose in the UAE, Wedding website dubai, wedding blogs dubai, real weddings dubai, wedding transport Dubai, wedding vendors dubai, bridal beauty dubai and more. This will aid in your google rankings and brand awareness when listing or advertising on www.brideclubme.com. “We were introduced to Bride Club ME just a few months after we had set up our company and were in the process of deciding on the best strategy to take our new business to market. We found Rio’s (the founder of BCME) marketing strategy, creativity and vision for the future of her company refreshing, and decided to list with them. Hands down, one of the best marketing decisions we made, especially for a start-up company. We have had so many referrals of business through BCME, that it has become one of our core sources of business. On top of that, Rio’s creativity and passion for giving her readers a new and unique twist on a wedding website means that we have been involved in a number of exquisitely styled shoots that have given us a quality of additional portfolio images and a network of vendor partners that puts us leagues ahead of our competitors.